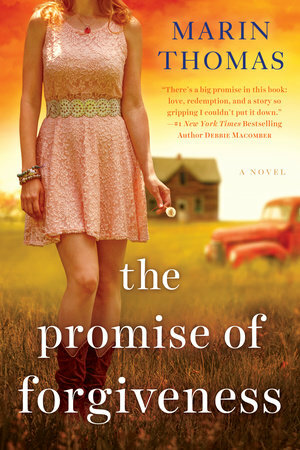 After writing twenty-five romance novels, award-winning author Marin Thomas makes her women’s fiction debut with THE PROMISE OF FORGIVENESS (Available March 1, 2016; $15.00), a novel of love, forgiveness, and the unbreakable bonds of family that takes place in a small town where secrets are guarded closely. I really enjoyed reading The Promise of Forgiveness. The characters are very realistic and easy to relate to. Some are very likeable and you find yourself rooting for a happy ending and others are not so likeable and you find yourself hoping they get what's coming to them:) Plot twists keep you guessing right up to the very end. The Promise of Forgiveness is a fun, quick read that is hard to put down!